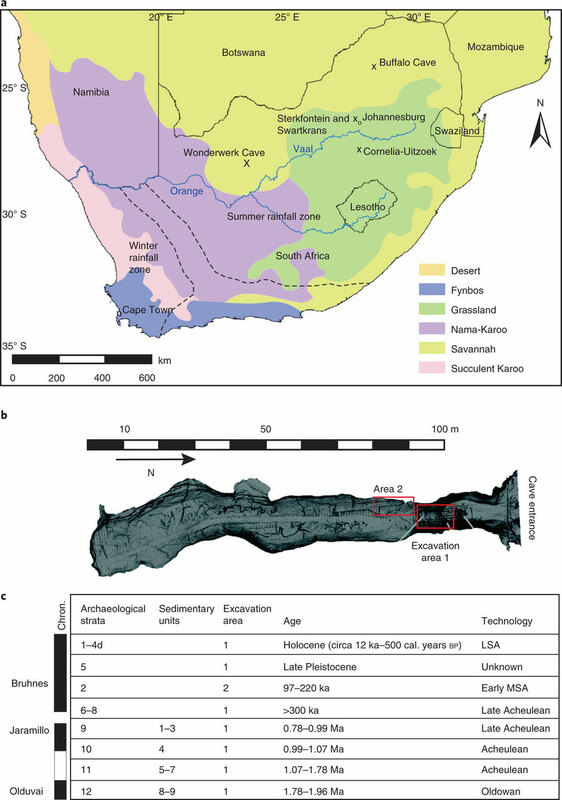 New research out of South Africa’s Wonderwerk Cave led by anthropologists at the University of Toronto (U of T) shows that the climate of the interior of southern Africa almost two million years ago was like no modern African environment — it was much wetter. In a paper published in Nature Ecology & Evolution, lead author Michaela Ecker, a postdoctoral fellow in the Department of Anthropology at U of T, alongside an international team of scientists that included Michael Chazan, director of U of T’s Archaeology Centre, recreated the environmental change in the interior of southern Africa over a span of almost two million years. While East African research shows increasing aridity and the spread of grasslands, the study showed that during the same time period, southern Africa was significantly wetter and housed a plant community unlike any other in the modern African savanna — which means human ancestors were living in environments other than open, arid grasslands. Using carbon and oxygen stable isotope analysis on the teeth of herbivores excavated from the cave, Ecker and her team were able to reconstruct the vegetation from the time the animal was alive and gain valuable insight into the environmental conditions our human ancestors were living in. This is the latest U of T research out of Wonderwerk Cave, a massive excavation site in the Kuruman Hills of the Northern Cape Province of South Africa. Chazan has previously discovered early evidence of fire by human ancestors, as well as the earliest evidence of cave-dwelling human ancestors, based on excavations carried out by South African archaeologist Peter Beaumont. Research to date has established a chronology for human occupation of the front of the cave stretching back two million years. The findings are described in the study “The palaeoecological context of the Oldowan-Acheulean in southern Africa”, published this month in Nature Ecology & Evolution. Research funding was provided by the Social Sciences and Humanities Research Council of Canada, the German Academic Exchange Service, the University of Oxford’s Boise Fund Trust and the Quaternary Research Association. Other team members include James Brink and Lloyd Rossouw of the National Museum, Bloemfontein, Liora Horwitz of the Hebrew University of Jerusalem and Julia Lee-Thorp of the University of Oxford. 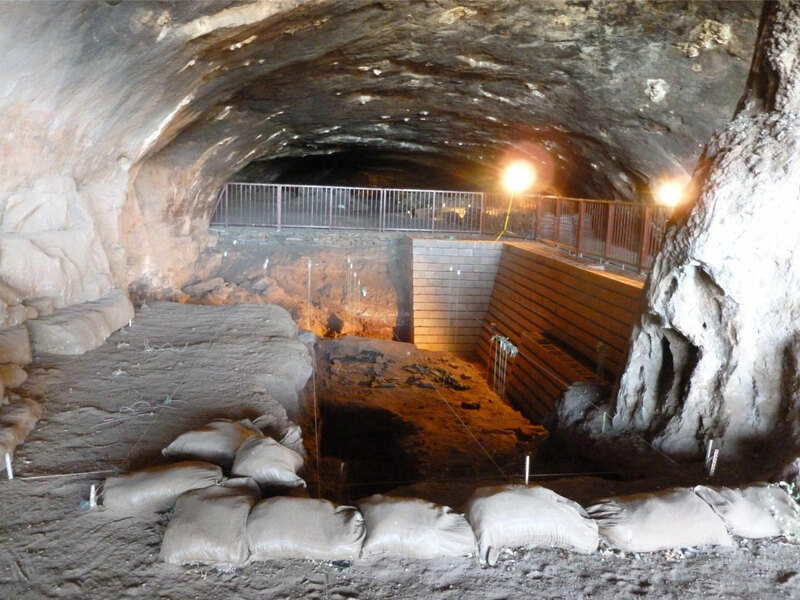 Research at Wonderwerk Cave is carried out in collaboration with the McGregor Museum, Kimberley and under permit from the South African Heritage Resources Agency. Be the first to comment on "Prehistoric Teeth Reveal Details on Ancient Africa’s Climate"